Uganda is a country that is truly gifted by nature. It has a huge variety of landscapes with different environments, various waterways and lakes, numerous mountains, many cultures and a plethora of wilderness areas that foster the original unspoilt relationship between the various populations and the nature that surrounds them. The cultural diversity of the country can be seen in the numerous tribes, languages, traditions and kingdoms. Each region and district has its own unique history, one that includes music and dancing that retraces the traditions of the tribe. You can find dance schools all over the country. Traditional ceremonies are carried out locally, such as weddings and circumcisions as in the Eastern tribes. The tribal culture in this country truly thrives, but there is one tribe among the many in Uganda that has been completely marginalised. This is the tribe of the Batwa Pygmy, forest inhabitants originally from the Ituri Forest in the Democratic Republic of Congo. As the forest lands that they came to occupy in Uganda fell under the control of agro-industries and conservation agencies, the Batwa became squatters living on the edges of society. The establishment of the Bwindi and Mgahinga National Parks in 1991 enabled the authorities to evict the Batwa definitively from the forest, and today they experience systematic and pervasive discrimination from the government and other sectors of society. Uganda is an agricultural country where most of the people live as small farmers. The country offers several fine national parks and wildlife reserves with open savannah and forests, where visitors can search for the “big five” as well as many other animals. However, Uganda offers something more than this typical African experience, as it is one of the most interesting destinations for birdwatchers in Africa. Due to its transitional geographic position between the East African savannah and the Western African rainforest, Uganda hosts a remarkable variety of bird species – in fact, there are over 1000 recorded species! The Semliki, Budongo, Kibale and Bwindi forests are the main birding attractions. Kampala is the capital of Uganda and has recently been renovating itself to attract more tourists; the city spreads over several hills not far from the shore of Lake Victoria and hosts over 2 million inhabitants. The town is also the political headquarters of the Buganda kingdom, hosting the Royal Parliament Palace (Bulange), the Royal Palace and the Kasubi Tombs, where generations of kings are buried and one of the biggest African huts on the continent is found. It is interesting to visit the local artisan markets, such as Africa Exposure, where you can look for some original coffee shops and taste real Ugandan coffee. If you are interested in local markets, then Owino in down town is a very rewarding African cultural experience. You can also find some Ugandan pieces of figurative art at Nommo Gallery or other private collections or galleries. One of the best attractions in Uganda is the mountain gorilla safari. Mountain gorillas (Gorilla beringei beringei) are an endangered species of primates which are only found in a few tropical rain forests in this area of Africa. Bwindi Impenetrable National Park in Uganda hosts half of the world population of gorillas, about 370 individuals. Five of the families are quite used to receiving visitors that enter the forest every day in search of the rare primates. A special, individual “permit” is required to participate in these safaris, which consist of a guided trek with a ranger into the rainforest where you can spend some time observing and photographing the primates at a certain distance. Bwindi Impenetrable National Park lies in southwestern Uganda on the edge of the Rift Valley. Its mist-covered hillsides are blanketed by one of Uganda’s oldest and most biologically diverse rainforests, which dates back over 25,000 years and contains almost 400 species of plants. This biologically diverse region also hosts another 120 mammals, including several primate species such as baboons and chimpanzees, as well as antelopes. There are over 350 species of birds, 220 species of butterflies, 27 species of frogs, chameleons, geckos and many endangered species. The neighbouring towns of Buhoma and Nkuringo both have a nice array of comfortable lodges, rustic bandas and budget campsites, as well as little restaurants, craft stalls and guiding services. Considered the country of primates, Uganda is home to many species of monkeys including the common chimpanzee, who is more closely related to man than to any other living creature. Chimpanzees live in large family communities headed by a core of related males. The park is home to a total of 70 mammal species, and is most well known for its 13 species of primate including chimpanzees. It also hosts over 375 species of bird. Kibale adjoins the Queen Elizabeth National Park to the south to create a 180km-long corridor for wildlife between Ishasha, the remote southern sector of Queen Elizabeth National Park and Sebitoli, in the northern part of Kibale National Park. The park has a tropical climate with two rainy periods, March to May and September to November. There is a pronounced dry season from December to February. Rain falls more in the north than in the south. A visit to the park consists of a guided trek with a ranger into the forest where you can spend some time observing and photographing the primates from a distance. This vast park covers about 2.000 square kilometres that run along the Congolese border and Lake Edward, which was named so after a visit of the British Monarch in 1954. The lake is considered “the pearl of Uganda”, and is connected to Lake George via the natural Kazinga Channel. The Ishasha River in the south forms the southern border of the park. The park’s diverse ecosystems, which include sprawling savannah, shady, humid forests, sparkling lakes and fertile wetlands, make it the ideal habitat for the classic big game including elephant, lion, leopard, Ugandan kob, buffalo, spotted hyena, waterbuck, bushbuck, warthog and ten primate species including chimpanzees, velvet monkey, blue monkey, red-tailed monkey, black and white colobus and olive baboons as well as over 600 species of birds. In the southern area of the park, not far from the Ishasha , there is a local population of tree-climbing lions similar to those of Lake Manyara in Tanzania. Apart from game viewing, typical tourist activities in the park include boat trips along the Kazinga Channel for birding and wildlife safaris, nature walks in the Maramagambo forest and chimpanzee trekking in the Kyambura Gorge. Murchison Falls Conservation Area is the biggest protected area in Uganda, spanning over 5.000 square kilometres. It includes Murchison Falls National Park, Bugungu Wildlife Reserve, Karuma Wildlife Reserve and Budongo Forest. The park is bisected by the Victoria Nile which plunges 45 metres over the remnant rift valley wall, creating the dramatic Murchison Falls, the centrepiece of the park and the final event of the 80 km stretch of rapids that course though the territory. The mighty cascade drains the last of the river’s energy, transforming it into a broad, placid river that flows quietly across the rift valley floor into Lake Albert. The park hosts 76 species of mammals including giraffe, elephant, buffalo, leopard, lion, spotted hyena, waterbuck and bushbuck. The list of the bird species includes over 450 species. Migratory birds are present from November to April and it is one of the best places in Africa to find the shoebill stork. Activities in the park include game viewing around the northern sector and Lake Albert, boating trips along the Nile up until the base of the Murchison Falls, various treks and walks thorough the amazing landscapes including chimpanzee trekking in the Budongo Forest. Notable visitors to the park have included include Winston Churchill, Theodore Roosevelt, Ernest Hemingway and several British royals. The is the smallest national park in Uganda, spanning just 260 square kilometres, and is named after the lake which lies in its territory. It is found in the Mbarara District, a common stop over to and from Kampala, Bwindi, Queen Elisabeth or Kisoro. The most common animals here are impala, Uganda kob, zebra (found only in this park in Uganda), Ankole cattle, buffalo, topis, waterbuck, bushbuck, oribi. There are at least 350 bird species including the national crested crane and the shoebill stork. Possible activities include boating trips on the lake, guided nature walks with a ranger and bird watching. Together with 13 other lakes in the area, Lake Mburo forms part of a 50km-long wetland system linked by swamps; five of these lakes lie within the park’s borders. Once covered by open savannah, Lake Mburo National Park now contains quite a bit of woodland as there are no elephants to tame the vegetation. In the western part of the park, the savannah is interspersed with rocky ridges and forested gorges, while patches of papyrus swamp and narrow bands of lush riparian woodland line the many lakes. Rwenzori Mountains National Park protects the highest parts of Rwenzori mountain range, which is of the 120 km long and 65 km wide and host to over 70 mammals and 217 bird species including 19 Albertine Rift endemics It is also home to some of the world’s rarest vegetation. The park has become a favourite destination for hikers and mountaineers. The range includes six mountains whose peaks exceed 4.500 meters: Baker, Speke, Stanley, Emin Pasha, Luigi di Savoia and Gessi; the main peak is Margherita (5109 m) on Mount Stanley, and it is named after the Italian Queen who supported the first climbing expedition in which all of the 6 main peaks were scaled. The expedition was led by the Italian Prince Luigi Amedeo of Savoy, the Duke of Abruzzi, in 1906. Climbing the Rwenzori is a quite rewarding experience: you pass five different vegetation zones up to the Afro alpine zone to arrive at the glacier on the equator. The full trek to reach Mt. Stanley and climb the peak of Margherita takes on average 6 or 7 days round trip. The “central circuit”, as it is called, passes around Mount Baker and by Mounts Speke and Luigi di Savoia, but shorter treks can be arranged. The facilities in the Rwenzori are quite basic; however, you will find good huts for sleeping and extremely capable guides, porters and cooks are at your disposal to organize the event. The equatorial snow peaks include the third highest point in Africa, while the lower slopes are blanketed in moorland, bamboo and lush montane forest. Mgahinga Gorilla National Park sits high in the clouds, at an altitude between 2.227 and 4.127 meters. It was created to protect the rare mountain gorillas that inhabit its dense forests, and it is also an important habitat for the endangered golden monkey. Mgahinga’s most striking features are its three conical, extinct volcanoes, part of the spectacular Virunga Range that lies along the border region of Uganda, Congo and Rwanda. Mgahinga forms part of the much larger Virunga Conservation Area, which includes adjacent parks in these countries. The volcanoes’ slopes contain various ecosystems and are biologically diverse, and their peaks provide a striking backdrop to this gorgeous scenery. As well as being important for wildlife, the park also has a huge cultural significance, in particular for the indigenous Batwa pygmies. This tribe of hunter-gatherers was the forest’s “first people”, and their ancient knowledge of its secrets remains unrivalled. This park is named after the river traversing this region. This is one of the most unspoilt, pure wild places remaining in Africa; it is the most isolated national park in the country, but the few who make the long journey north through the wild frontier region of Karamoja all agree that it is also the most magnificent, for Kidepo ranks among Africa’s finest wildernesses. From Apoka, in the heart of the park, a savannah landscape extends far beyond the gazetted area, towards horizons outlined by distant mountain ranges. Kidepo contains one of the most exciting faunas of any of the Ugandan parks, with over 80 species of mammals, several of which are restricted only to Kidepo, such as the cheetah, striped hyena and caracal. The bird list boasts over 465 species. A part from the game drive, on request, a visit to the local Karimojong homestead or “manyattas” can be organized. Kidepo Valley National Park’s climate is divided into one short wet season and a long dry spell. The wet season falls between April and October and the dry season fills the remainder of the year and it is dominated by very hot north-easterly monsoon winds which results in extreme drought with no green vegetation. In this area, temperatures can reach over 40 degrees Celsius and average 30 degrees Celsius. Water is a temporary phenomenon, flowing only during the wet season. However, throughout the length of the Narus River Valley, surface water flow alternates to subterranean flow and emerges at a few permanent water points throughout the year. 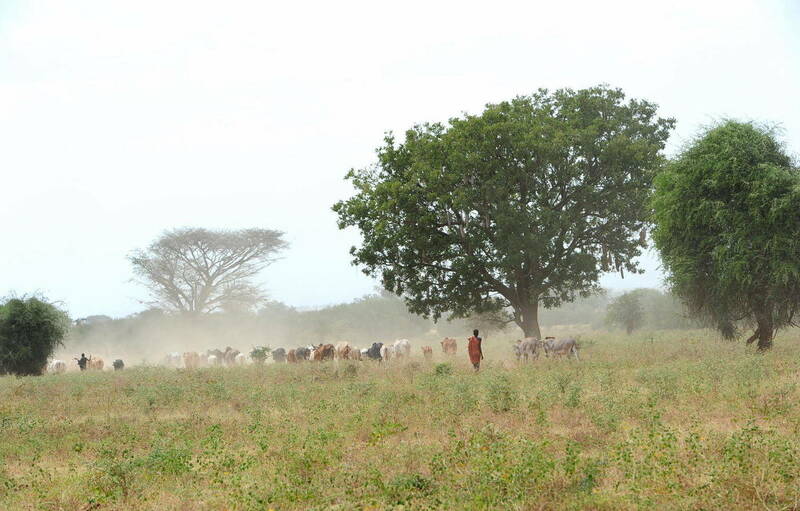 The climate can be summarised as arid but changes to semi-arid towards the Narus Valley, which is the only region of the park containing water during the dry season. Uganda is also a territory of water and lakes. The biggest lake is Lake Victoria, which is shared between Uganda, Tanzania and Kenya. On the Ugandan side, tourist development is ongoing, especially in the archipelago of the so-called Ssese Islands. These are 84 islands, which can be reached by ferry from the Entebbe port or by road via Masaka. The main hub for tourist facilities is in the Bay of Lutoboka on Bugala Island, which is the main island. You can find equipped beaches, clean water for swimming, accommodation and even hire a private boat to take a trip though the different islands in order to explore the diverse ecosystems. The government of Uganda requires proof of yellow fever vaccination only if you are arriving from a country with risk of yellow fever.